The boys are back... with backup. Following the first movie, this one picks up the pace and mood right away. The plot is a simple action revenge get the bad guy plot. It is full of clichés and older action actors who still pack a punch. I liked the first movie, but I think I like this one even more. They both have a sense of self irony, which is important for a movie like this, but this one just feel a bit more wholesome. Unfortunately this one is also a bit less gritty, which I liked about the first one. These older action heroes were my heroes when I was a kid, and despite the overdone violence, corny remarks and easy plot, you still end up with a big smile. This is what to expect from a movie with a cast like this! Every effect is over the top in blood, fire and air planes crashing into things. A big screen is recommendable and as the soundtrack is full of brilliant classics, a big sound system would not hurt either. Watch this with a group of old action addicts or by yourself when the wife is out. Open up a beer and turn up the volume. This is an action movie. 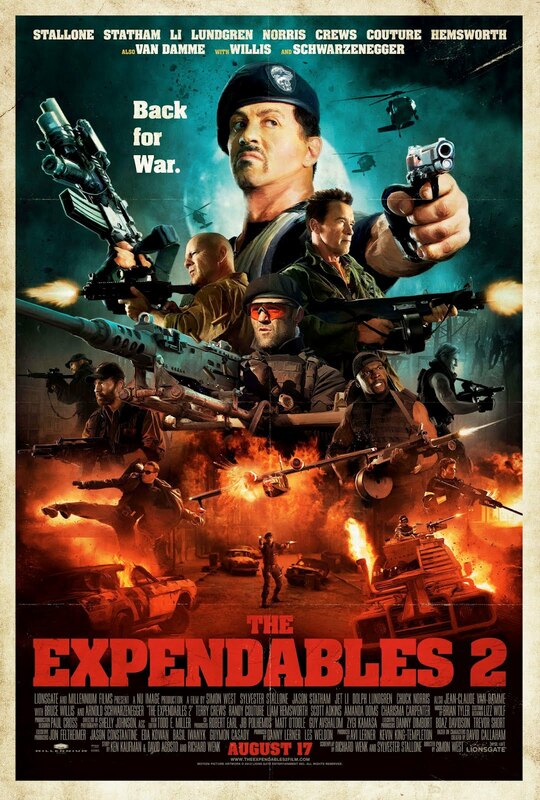 Will we see an Expendables 3?